The Channel 4 series "Benefits Street" has been in the news a lot recently - with everyone from members of the public, to journalists and bloggers forming their own opinions about the series. Some are berating the series producers for portraying the residents as predictable comical, stereotypical characters, and others are aghast at the behaviour of the residents and wondering how these people are managing to live off of the state and tax payer, and claim so many benefits in such austere times. I had never heard of the term "poverty p*rn" before, but apparently this is what the "Benefits Street" series has been dubbed - the media exploiting the poor in order to provoke sympathy or in some cases anger, or allegedly in the case of channel 4, to increase viewing figures. Whether you like it or can't stand it, you have to admit, Benefits Street does make compulsive viewing. It's almost like a horror film - you don't want to watch, but yet can't help but watch at the same time. As with any form of media, it's what makes the grade in the editing room which determines the angle that the programme portrays. As bloggers, when we take photos, its always the best, most interesting photos which end up on our blog. When we make videos, it is always the best 'take' which ends up on YouTube. The series describes how it spent a year on "Benefits Street" - that's around 8760 hours of filming with one camera, probably thousands of hours more depending on how many cameras were being used. Each episode is only an hour long, so the "best bits" (or worst bits) of Benefits Street are being edited together to create the most interesting footage possible. However, this could also mean that people are being given a very one-sided view of the street as they are only being shown the extremes of the resident's behaviour, or the exaggerated stuff that makes the best TV viewing, rather than the hours of more boring footage where the kids were in school, the residents were shopping, some of the residents were at work, or they were exhibiting "normal behaviours" which did not make the final cut. Last week I saw Steve Chalke talking on BBC Breakfast about how the residents were angry at the way they have been portrayed by the media. I guess the phrase "walking in someone else's shoes" really does come into play here. Is the real story on the street what Channel 4 is portraying, or is it something else? Is it actually even worse? Or is it not as extreme? 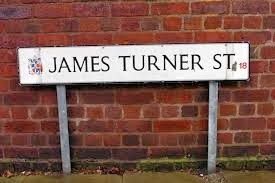 Having encountered characters like those of James Turner Street throughout my life, I can well believe that what we are seeing is a true portrayal of how life really is for those on Benefits Street, dealing with the every day challenges of living in poverty. However, the extremist exaggerated stereotypical characters which the documentary portrays really does make you wonder how much is just them going about their every day lives, and how much was stage managed. I have heard stories about the producers engineering conversations, placing the orange sofa strategically in the street, leaving rubbish in places, asking residents to "perform" etc. Questions remain about whether this is true or not but you can't deny that it does add to the stereotypes of a typical poverty-stricken environment. The episode about the children of James Turner Street made particular uncomfortable viewing this week. I caught the repeat late last night. Rather than it being the cringeworthy gratuitous swearing and colloquial dialogue that bothered me, it was all of the unspoken images which really took me out of my comfort zone. There were things that I saw, which children were being exposed to, which made me feel rather on edge. Take the young parents for example - the messy house, the blackness of the boy's feet when he was lifted up at one point, the little girl grabbing dirt off the fraying carpet, the general condition of the walls with mismatched paint, the children wandering around in various states of undress, and their behaviour throughout - all of this left my stomach churning, wondering how they could possibly let their children live like this. The father's avoidance of getting a job, and the juxtaposition of the couple owing over 3k on their rent, whilst also being shown being able to fund their smoking habit, and having mobile phones and other "luxuries" was culpable. However, I had to remember that this is how the parents and their environment had been painted. You can't deny that these parents love their children and that they are cared for to some degree. It may not be to a standard that others would expect, but it was clear that the mother especially was doing the best that she could. She was trying, in the face of adversity to be a good Mum. Her joy when she got the children to bed on time was evident - I would guess that what she might need would be a bit of encouragement and someone to give her some confidence in parenting, and she could be a fantastic Mum. The father was displayed as child-like, slightly immature, job-dodging no hoper with no brains, and no qualifications. However, the way that he described his love for his partner just proved that there are deeper depths that had probably not been nurtured - both parents were and are a victim of their own upbringing - should they be vilified for that? I wonder if his "job" was set up by the producers, as it was one of those jobs where you are set up to fail, and it made me angry that he had been told that this kind of "job" was something that would bring money in. The way that "white Dee" was portrayed was very predictable - after the narrator mentioned "ESA", I automatically guessed that she was signed off sick for "depression" and on anti-depressants and of course, this is what became evident. It also seemed that she was more interested in lounging around the house, on her laptop, chain smoking and wearing completely inappropriate clothes for a lady on the larger size, than taking an interest in her kids. The five year old child was out at all hours of the day and night alone. I would never let my kids out at night and so her five year old "Gerard" being out after dark and playing out made me feel uncomfortable, as did the child being around drug addicts and alcoholics. Additionally, the way that she spoke to him, swore at him and shouted in his face must have been a moments of absolute gold for the producers. They also portrayed her as using her older child as a baby sitter to the younger child and as generally just not a very good parent, despite being dubbed the "Mum" of the street. I didn't have as much sympathy for white Dee as it did seem that she wasn't making an effort to be a good parent, although she would fight for them tooth and nail if a bad word was said against them. I believe that there is always two sides to every story. Hopefully through public meetings and debates, the truer side of Benefits Street will become evident in the press, as well as the side which Channel 4 portrayed. It may be that these two "sides" are very similar, or it may be that they are polar opposites. It stands that most of my peers would probably not count the lifestyles of the parents of Benefits Street as the kind of lifestyles they would like to emulate or find themselves in, but non-the-less, it is a kind of lifestyle choice - whether chosen or forced. As parents we are all trying to do the best for our children, whether we have lots of money.enough money and possess the right skills to be fantastic parents, or we have no money and have never been given the skills we need to parent our children. Inherently, most parents love their children and want the best for them, although what constitutes as "the best" will be very different for everyone. When I watched the parents on Benefits Street, it was clear that they all wanted what was best for their children, and I believe that unites all parents together - whether you live on benefits in a road where poverty is evident, or in luxury in your gated mansion. I don't think that we should vilify the parents of Benefits Street too much, or brand them as "bad parents" when their way of life is completely normal to them - this is how they think that parents should behave. I hope that they are given the right skills to be good parents and role models for their kids - as it seemed that some of them do want to be, and are capable of being, and I hope that the true story of being a parent on benefits comes out - the times when they have fun, play, or spend quality time with their children, as well as the perceived abandonment, neglect, and bad parenting skills which were portrayed. What do you think? Should the parents of James Turner Street be dubbed as bad parents? Wow. I have not watched this programme/s but I would like to, though it does sound quite upsetting? I am going to have a look for it on 4od. I haven't watched the series so I can't really offer an opinion but I do think there's a really voyeuristic nature to these kind f documentaries and the companies making them obviously aim for what will get the biggest reaction from the final cuts. For me I'm undecided whether the discussion and debate that comes from such series justify their existence. Sorry that was no help! I have to admit I have stayed well away from this programme - I am not a parent but I am on benefits and I would love to get a full time job, earn my own money and be completely independent of the system - I always assumed I would go to uni, get a job I enjoyed to some degree and would trudge along in the 9 - 5 life like my parents before me. Sadly my body and mind are not so up on that idea and every day I feel shame that is only exacerbated by the views the media give off about what its like to be on benefits - we do so often only see what they want us to see rather than the reality. I think it is really easy to sit and judge these people and you have to take any programmes like this with a pinch of salt, there are bound to be bits that have been exaggerated for camera. I sat disgusted by the way the children were living in this weeks episode but like you say I do think there is love there and they need support and guidance. I felt exactly as you did watching this - cringing yet couldn't turn it off. I really felt for the young couple with the 2 children, I think they stand a chance but just have no education or parenting skills, to speak of. I hope that they get (and accept) the help that they need. They clearly love their children. Less said about "white Dee" the better, I think! I think that the parents should not be branded with any labels, obviously the show is so edited and the extreme residents are used to create shock and horror in the nation. What came across to me, are young parents who need lots of support and dare I say education in parenting. I just felt sad watching it this week. I am not one for reality TV shows and have never watched this programme. So can't really comment either way. I've never even hear of this show let alone watched it but I think I'll check it out myself now. I have caught glimpses of the show and didn't see this episode so can't comment on individual cases portrayed, however although I think not everyone is painted in a bad light, I think some people like "car crash tv" and often like feeling superior to others they see on this type of programme. The majority of parents in this world try the best for their children, some unfortunately do not. This was the toughest episode yet. It was really hard to watch and I don't think you could stay untouched by it. As to the question of weather they are all good or bad parents, I really don't think you can judge that by a TV show, whose intention is to be controversial and cause a stir. They are all trying at least, which is already a lot. Every week I say I am not going to watch it and every week I do. I realise it is edited for "shock" purposes but the fact that I know people who live like this means that people do actually behave like this. I real do think that something needs to be done about the benefits system - it is not there to become a way of life or to fund a cigarette / alcohol problem. It should be there to catch you when you fall and help you get back on your feet again - wish they would show benefits success stories instead! I haven't watched any of these programmes, but I do worry that they might be exploiting people's poverty and lack of education.